Fast food restaurants have a bad reputation when it comes to health. With their partiality to super sizes, deep frying and plenty of salts, there is a certain logic here. However, in the last ten years, obesity awareness has increased, and fast food joints have taken positive steps. 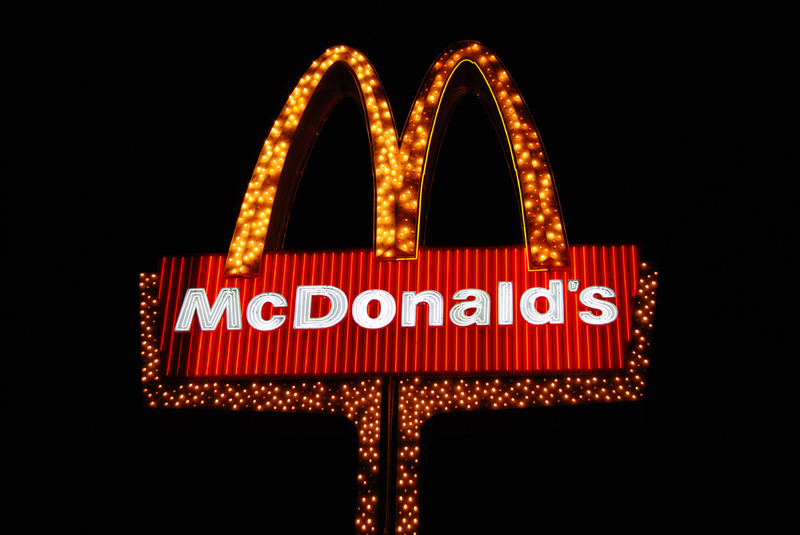 Take a trip to McDonalds or KFC and you’ll now find a variety of healthier options. Many burgers and wraps now contain only a fraction over 300 calories, for example. It may be some time before they wriggle free from the stereotypes and obesity headlines. But, it’s plain to see that changes are being made. Here’s how you look after your body, and enjoy your favourite burger. All fast food restaurants are bound by law to display their nutritional information. It allows you to see exactly what’s in your food. More importantly, it will list the calories and percentage breakdowns. For example, you can see what percentage of your recommended allowance of salt is found in the fries. Check this before you buy, and look for the lower alternatives. We took a good, hard look at the calorie count in some of the biggest fast food restaurants. What we discovered is that some of the salads and veggie options are riddled with calories! At Burger King, for example, A Whopper has 410 calories while some of their salads reach nearly 1000. The world wide web is your friend here. All the information you need can be found with a little clever internet work. For example, you’ll find the full KFC menu here at https://fastfoodmenuprice.com/kfc-menu-prices/. Once you’ve identified your meal of choice, run it through a fast food calorie counter app. You’ll find plenty on the App Store and you’ll have all the answers to hand. Next time you go to McDonald’s, you needn’t get the biggest thing on the menu! We all get fast food cravings, and that’s fine. You can satisfy the hunger with a meal from the kids’ menu instead. They’re smaller portions and so contain fewer calories. You can also choose a healthier side here, like a fruit pot or carrot sticks. One of the least healthy aspects of your fast food meal is the fizzy drink. They’re laden with sugars and artificial flavours. They contribute to body fat and degrade your teeth. Choose a bottle of water or fresh fruit juice instead. It will dramatically reduce the calorie count in your meal. When it comes to fast food, the devil is in the condiments. Ketchup isn’t too bad, at only ten calories a sachet. However, upgrade to the honey mustard or mayonnaise and you’re looking at nearly 100 calories a pot. Don’t spoil a healthy choice with lashings of sauce! As you can see, it is possible to indulge in your favourite fast food without putting on the pounds. There are healthy options here, and the stores themselves are making big changes. What’s your happy meal of choice? Tagged healthy fast food. Bookmark the permalink.